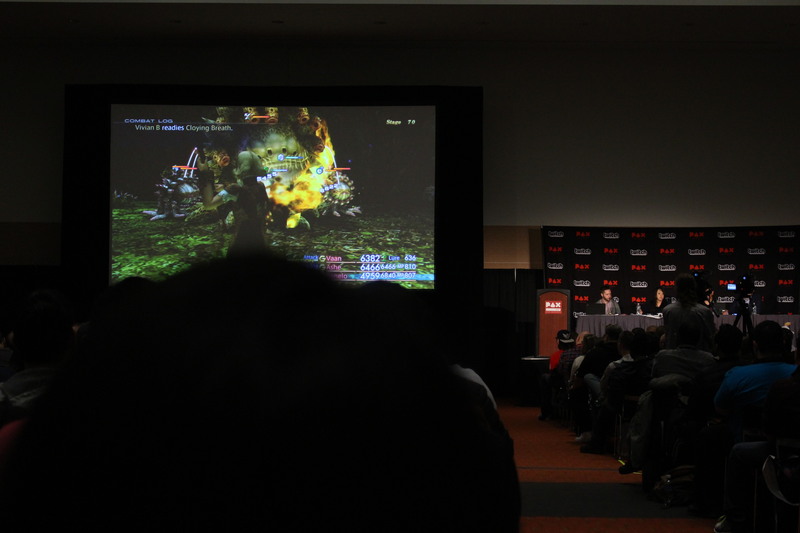 At Final Fantasy XII: The Zodiac Age‘s PAX East panel, we got a close look at some footage of the awaited remaster. Director Takashi Katano highlighted revamps and new features that go the extra mile in this rework of the PlayStation 2 Final Fantasy XII. In terms of visuals, Katano pointed out that the character models now reflect finer details of their character illustrations, like the toned muscles on the protagonist Vaan’s skin and his metal shoulder plate. There’s certainly some other great visual improvements you’ll notice, but the changes are far from just cosmetic. The video, a recording of the PAX stream, shows the UI for the improved Job system and the game’s defining Gambit system. There’s also neat quality fixes you’ll notice along the way. The game will allow you to swap between a remastered version of the soundtrack and the original on the fly. That way, for those who are nostalgic, you can hear the original audio. It appears you can also potentially toggle between Japanese and English audio in the menu, but it’s not confirmed that you can do it on the fly without having to return to the main menu. 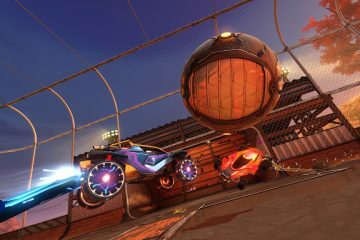 The game also has a fast forward mode, which will allow you to move faster. In the video, Katano begins to run around and battle in 2x speed. A 4x speed option will also be available, but he encouraged gamers to try it out on their own. Now, backtracking and running across huge areas has become much easier. After the gameplay footage, the team unveiled a highly anticipated announcement for the game’s fans: the special editions. Take a look at all the goodies they come with. For $199, diehard fans of the game will be able to pick up the Collector’s Edition. The Collector’s Edition will be available exclusively through Square Enix’s website, where you can already pre-order here. Courtesy of their site, here’s a quick overview of what comes in this edition. For $49.99, you can pre-order the Limited Steelbook Edition. 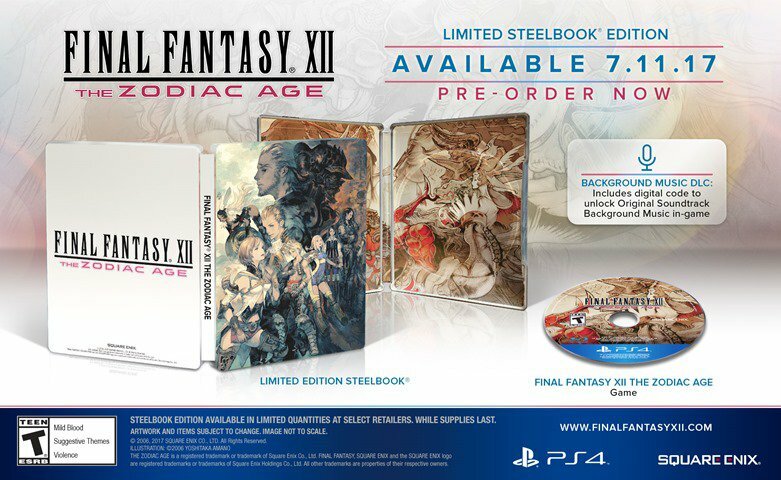 This version includes the game, an exclusive steelbook featuring artwork by illustrator Akihiko Yoshida, and a digital code to unlock the original soundtrack background music option in-game. 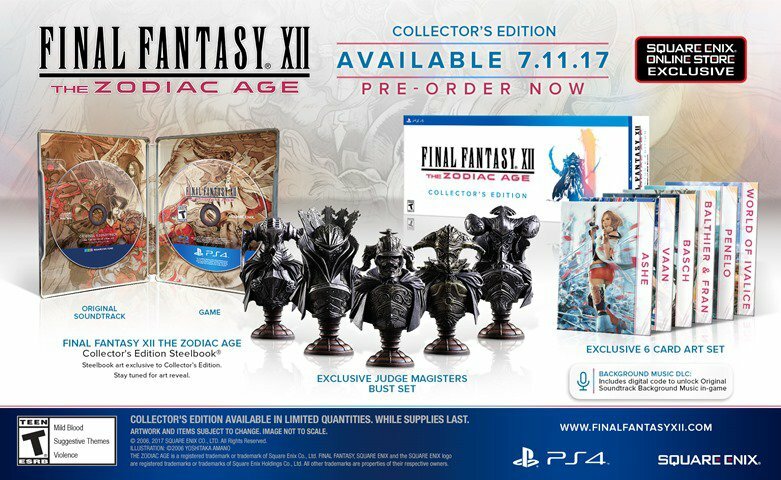 Final Fantasy XII: The Zodiac Age releases for PS4 on July 11.